Luxor cannot be left off in any visit to Egypt. We’ve created two Luxor itineraries for 3 or 4 days to experience the best the city has to offer. Need help to plan your visit to Luxor? 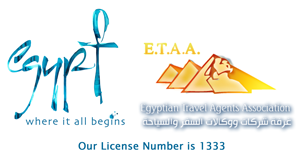 Request a quote to receice a tailor-made travel plan. When it comes to must-see sights in Egypt, there’s simply nowhere quite like Luxor. Beyond its historic temples and tombs, the bustling backstreets and countryside villages present an exotic face to most visitors. It’s also a good place to explore ordinary Egyptian daily life. Explore the jewels of Luxor’s East Bank. Karnak is the most impressive temple complex in Egypt. Walk through its avenue of ram-headed sphinxes and visit some of the many temples and chapels. The great hypostyle hall with 134 vast columns is awesome. Around sunset, visit the Temple of Luxor, one of the best-preserved complexes from Egyptian antiquity. In the evenings, the temple is illuminated, so this time of day is particularly suitable for a visit. Cross the Nile to the West Bank and visit some of the tombs in the world-famous Valley of the Kings. Continue on to the less visited but very beautiful Valley of the Nobles, which has some of the finest rock-cut tombs in the Theban necropolis. The huge and excellent preserved mortuary temple of Ramesses III at Medinet Habu is your next stop. Finally, a brief visit to the Colossi of Memnon, two massive statues of Pharaoh Amenhotep III built 3,400 years ago! For a once-in-a-lifetime memory, take an optional hot-air balloon ride to see dawn break over the Theban hills and the Nile. 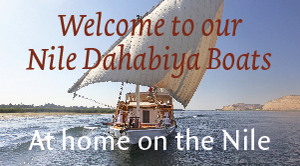 A short trip across the Nile will take you to the Valley of the Kings. Hidden from view, beneath the sands and against the Theban hills, are 64 known tombs that have been hand-carved into the valley rock. The real highlight of the day is the Valley of the Nobles. Here guards still use broken mirrors to direct the sun’s rays into the tombs to light their wonderful interiors. Continue on to the Temple of Medinet Habu. On the walls and ceilings of this temple, you’ll see exquisite paintings and murals, their colours still vivid despite the passage of time. End the day’s visits at the Colossi of Memnon and look at the latest excavation work at the Temple of Amenhotep III. We can also arrange an optional hot-air balloon ride over the West Bank for you. Today you can choose how you to spend your day. A second day on the West Bank, visiting the terraced Temple of Queen Hatshepsut at Deir el-Bahari, which is a splendid sight to behold, and the ancient village of Deir el-Medina which houses some perfectly painted tombs, and the Temple of Ramesses II, known as the Ramesseum, the inspiration for Shelley’s poem ‘Ozymandias’. Or venture off the beaten track on a full-day excursion to visit the Temple of Hathor at Dendera and the Temple of Seti I in the ancient city of Abydos.